Contact lenses are the number one choice for many people with vision correction needs. For many, contact lenses provide flexibility and convenience. There are many different lenses available for a variety of needs and preferences. Contact lenses can be used to correct a variety of vision disorders such as Myopia (nearsightedness), Hyperopia (farsightedness), Astigmatism, and Presbyopia (poor focusing with reading material and other near vision tasks. You need to visit your eye doctor to be examined and fitted for contact lenses. 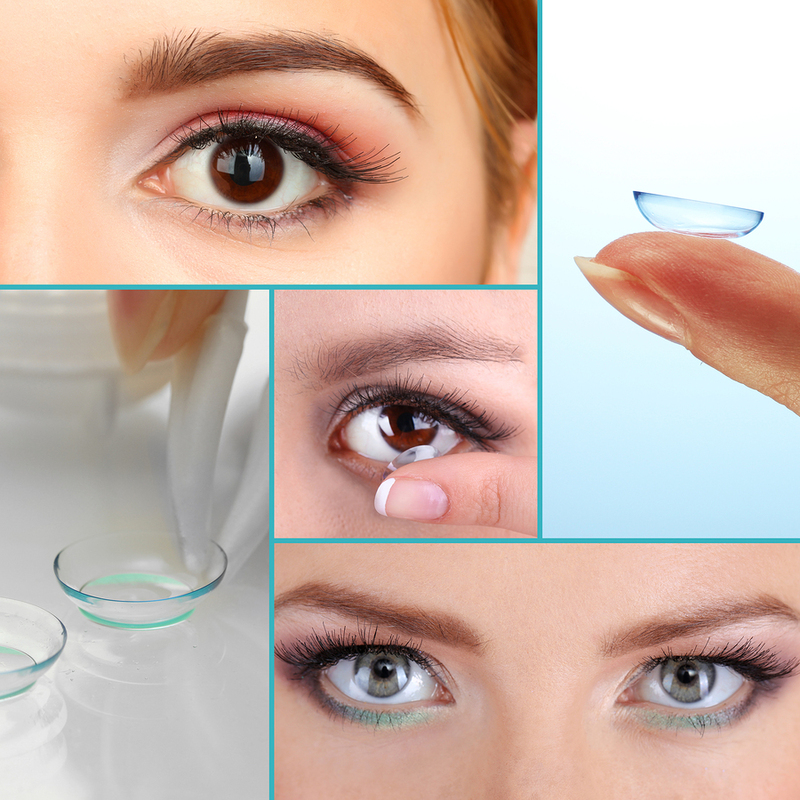 All contact lenses require a valid prescription. The most common type of lens are soft contact lenses. They are made of soft, flexible plastics that allow oxygen to pass through to the cornea. Soft contact lenses are more comfortable than rigid gas permeable lenses. Newer soft lens materials include silicone-hydrogels to provide more oxygen to your eye while you wear your lenses. Soft Contact lenses wearers find them very easy to adapt to. Rigid gas permeable contact lenses (RGPs) are more durable and resistant to deposit buildup, and generally give a clearer, crisper vision. They are usually less expensive than soft contact lenses since they last longer. They are easier to handle and less likely to tear. However, they are not as comfortable initially as soft contacts and it may take a few weeks to get used to wearing RGPs, compared to several days for soft contacts. Some doctors prescribe these lenses for patients with slight irregularities in the cornea. Extended wear contact lenses are available for overnight or continuous wear ranging from one to six nights or up to 30 days. Extended wear contact lenses are usually soft contact lenses. They are made of flexible plastics that allow oxygen to pass through to the cornea. There are also a very few rigid gas permeable lenses that are designed and approved for overnight wear. Length of continuous wear depends on lens type and your eye care professional’s evaluation of your tolerance for overnight wear. It’s important for the eyes to have a rest without lenses for at least one night following each scheduled removal. The majority of soft contact lens wearers are prescribed some type of frequent replacement schedule. “Disposable,” as defined by the FDA, means used once and discarded. With a true daily wear disposable schedule, a brand new pair of lenses is used each day. Some soft contact lenses are referred to as “disposable” by contact lens sellers, but actually, they are for frequent/planned replacement. With extended wear lenses, the lenses may be worn continuously for the prescribed wearing period (for example: 7 days to 30 days) and then thrown away. When you remove your lenses, make sure to clean and disinfect them properly before reinserting. Contact lens technology is evolving rapidly and there are more choices available for patients than ever before. Whether you already wear contact lenses or are considering them, the contact lens specialists at Advanced Eye Care Vision can give you the best options for your visual health. © 2018 Advanced Eye Care. All Rights Reserved.